I arrived in Victoria this morning by Harbour Air. It was so nice to hop on the sea plane at 7:20am and be downtown Victoria by 8 am. Thank you so much to Laura Biffen it was a real luxury this morning! Marilyn was there to pick me up and we enjoyed a nice breakfast together. It was time for the workout we headed over to Beaver Lake. We got on the trail and the first thing we saw was a baby owl in the trees. Victoria is so beautiful. Marilyn had a different workout than me so we stayed on the same trail for support and both started are workouts. I was feeling tired from a big week of milage but just put my head down and pumped out 6 x 6′ at a 10k pace. I think I did the first few a bit to quick Marilyn joined me for the first 3′ of my 6th one and encouraged me by letting me know I was on pace by her garmin. We finished up the wo with a cool down and some plyos. This is something I want to incorporate into my training. This past week was busy for me preparing for this weekends workshop and teaching extra classes. Monday was a double 2 x 45′. Tuesday was a tempo 15’easy 45′ of tempo starting with 3′ at marathon pace and 6′ at 10k pace. I did this tempo by hr 160-165 for marathon and 165-172 for 10k. It was a tough workout. 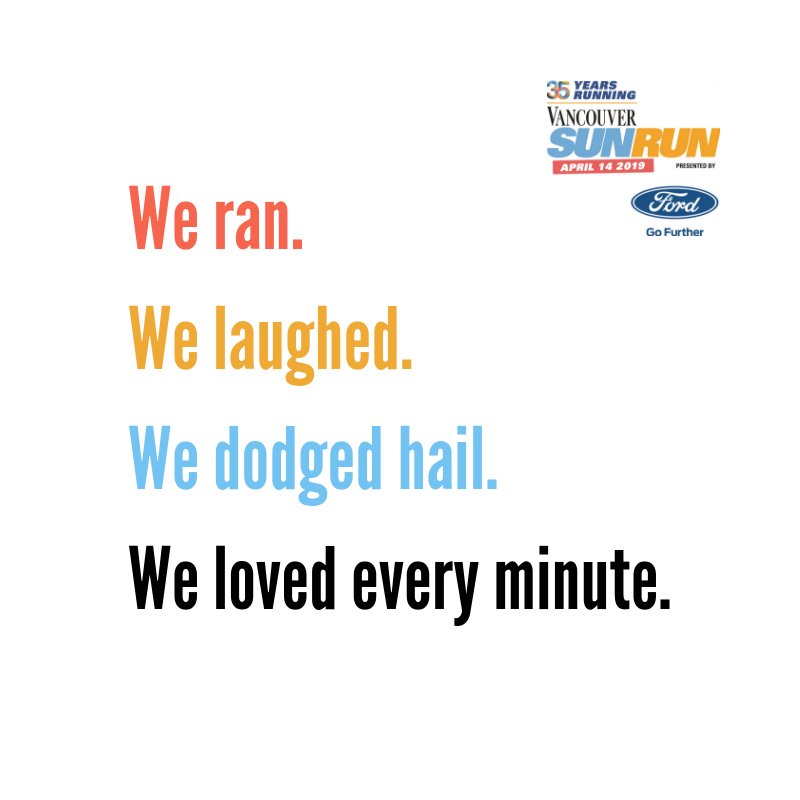 Wednesday I ran 90′ in Stanley Park trails, Thursday was another double 45′. I decided to fly out Thursday morning to Victoria so was in bed at 7:30 pm. Thats what happens after a full week of training/teaching I was exhausted. Looks like the sun is going to shine for our first Mindful Strides workshop! If you could not make this one in Victoria our next one will be held June 20th at Lululemon Vancouver Robson location Follow me on twitter! We held a contest over the last 2 weeks to win a mindful Strides Workshop. I randomly picked a winner today Heather Cull from Vancouver B.C. Congrats to Heather! Look out for our next contest! ← Previous Previous post: What Is Your Positive Affirmation?